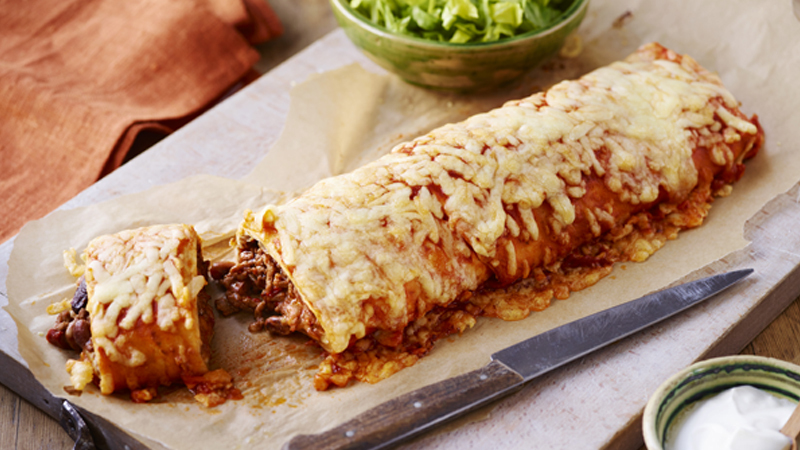 Perfect to share, this full-flavoured burrito is bursting with mince, beans and melting cheese. 1. Preheat the oven to 190ºC (170ºC for fan assisted ovens), gas mark 5. Line a large shallow baking tray, about 38cm x 25cm, with greaseproof paper. 2. Heat the oil in a large frying pan over a medium-high and cook the mince for 5 minutes, adding in the cumin for the last minute. Add in the beans and cook for a further 3 minutes. 3. 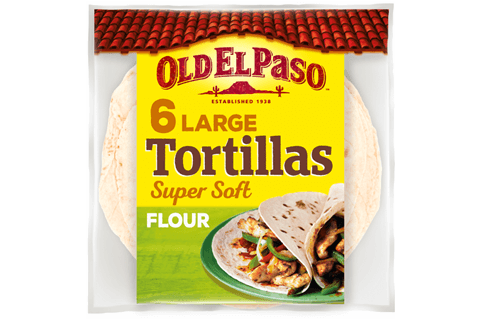 Place the tortillas, overlapping, down one side of the baking tray. Soon the mince mixture down the centre of the tortillas, then sprinkle with half the cheese. Roll the tortilla over the sausage mixture to create 1 large burrito, seam side down. Tuck the ends under. 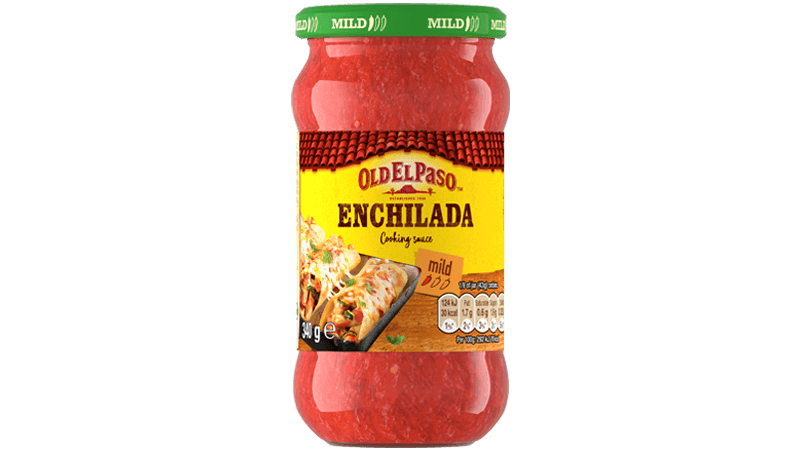 Spoon the enchilada sauce over the burrito, then sprinkle with the remaining cheese. 4. Bake for 20 minutes or until piping hot and the cheese is melted and golden. Cut into slices to serve alongside the soured cream and lettuce. • Alternatively this could be made with chorizo or sausage meat instead of beef mince. • Bulk out the burrito by adding cooked rice to the sausage mixture.